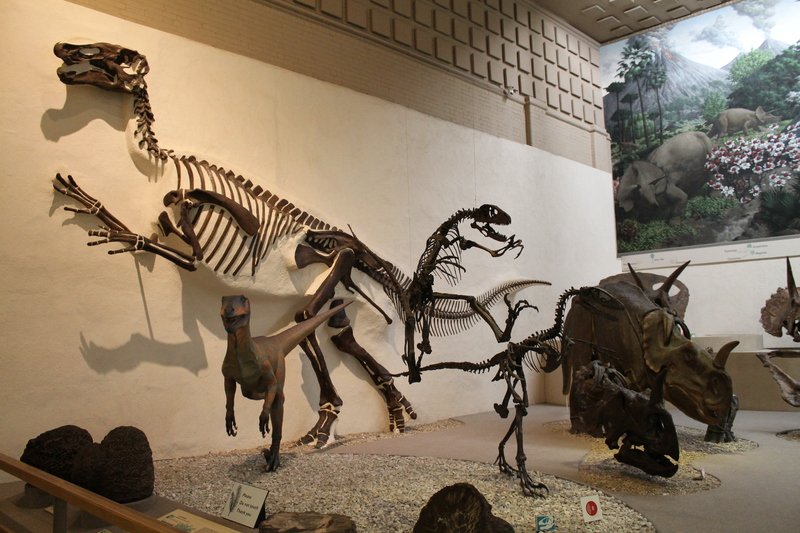 I appreciate this spotlight on Beecher’s Edmontosaurus mount and its challenge to the conventional narrative of how paleontologists have historically reconstructed the life positions of dinosaurs. 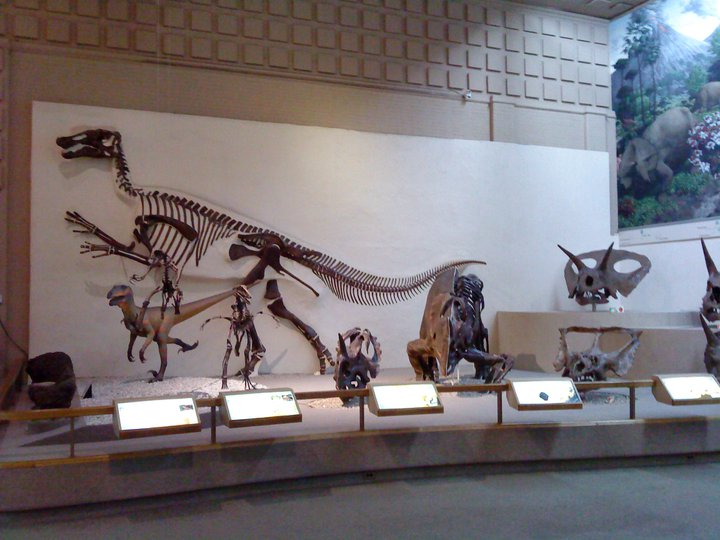 However, it is incorrect to say that the mount of Hadrosaurus foulkii at the Academy of Natural Sciences did not include the fossil bones. Several sources indicate that Benjamin Waterhouse Hawkins did include fossils in the mount can be inferred from several sources. First, many of the fossil bones, now in the Academy’s vertebrate paleontology collection, are penetrated by holes, presumably to accommodate an iron armature. Second, digitally enhanced photographs seem to show some of the bones in the mounted skeleton. Finally, in a letter (Academy of Natural Sciences Archives) to Joseph Leidy, Hawkins notes that he switched out some of the fossil vertebrae that were in poor condition for plaster replicas, when the skeleton was remounted in the Academy’s new museum building in 1876. 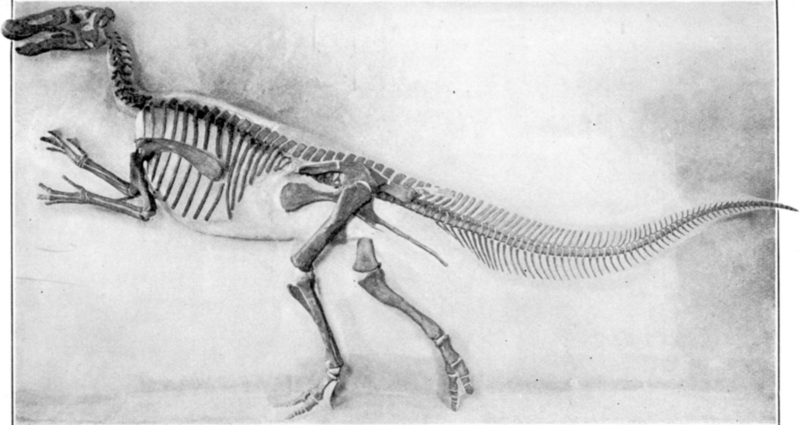 So, even though the fossil skeleton of Hadrosaurus foulkii was woefully incomplete, requiring much artistic and scientific interpolation to fill the gaps, fossils were clearly part of the skeletal reconstruction. In fact, Hawkins, in a show of deference to the scientific evidence, painted the replica and modeled bones a color that distinguished them from the originals. Having said this, it seems to me that the inclusion of the fossils in the mount of Hadrosaurus foulkii was more an achievement of engineering than a scientific one; it was the scientifically informed arrangement of the bones (fossil or replica) that was most significant! I don’t think this point should detract form the value of the rest of your informative discussion. Thanks for continuing to highlight the importance of fossil reconstructions in paleontology and science education! Hi John – thanks for the correction. The funny thing is that I’ve heard about the letter you mentioned and was once even shown the drill holes on the hadrosaur fossils, but managed to completely forget both. Or I was confused by the duplicate Hadrosaurus at the Smithsonian. Oh, well! Allow me to add one nitpick: the first Bernissart Iguanodons were on public display from 1883 onwards, in the Hof van Nassau (an inner courtyard now part of the Royal Library of Belgium in Brussels). In 1891, they were moved to their present location. It is at that time that the international press start noticing them (e.g., Anon. 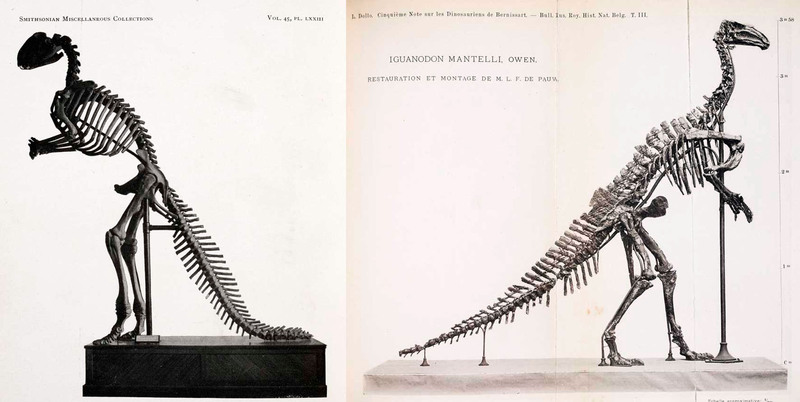 “The Bernissart Iguanodon.” Scientific American 1883 (1883): 391–92). By 1891, Dollo is already actively trying to flog off plaster copies – an interesting development in itself – in exchange for objects from other museums. Makes sense, thanks for clarifying (I was going by the date of his publication). Where did plaster copies end up, besides the London NHM?